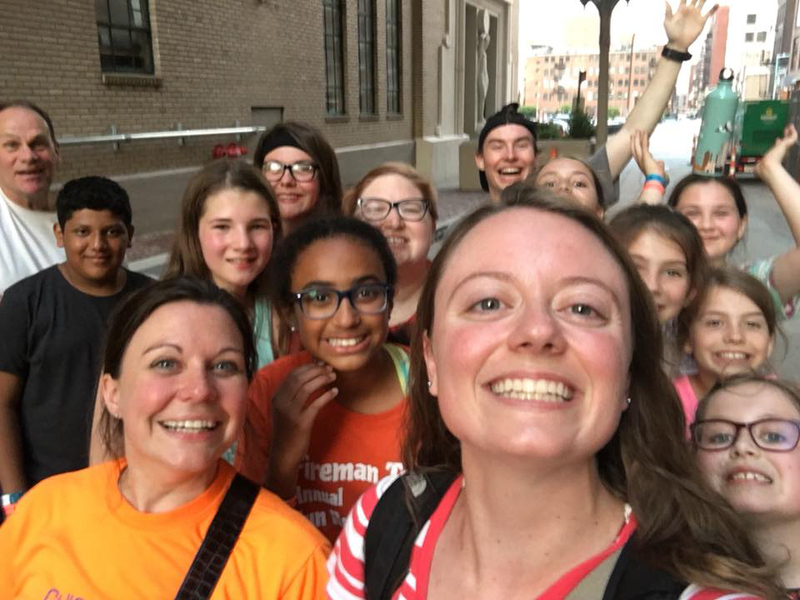 2019 Summer Mission Trips are Here! This summer, God's Squad will be participating in two mission trips where we will get the opportunity to grow in our faith, serve the local community, and build deep friendships with one another. We hope your youth can join us! All rising 5th-8th graders will be serving in Kansas City from June 6-9. We will be doing a host of projects, learning and serving with different churches and faith organizations in the city. All rising 9th-12th graders will be heading to Central Appalachia and working with the Appalachia Service Project from July 13-21. We will be doing home repair for different families in the area, working alongside them and hearing stories about life in the Appalachian community. Please click this link to reserve your spot. A non-refundable deposit of $100 is due by March 1 to secure your spot. We will be accepting sign-ups after March 1, but our spots will be first come, first serve after this date! You can either get this money to Pastor Maddie or the Barrington UMC office by the deadline or pay online here. Be sure to enter the amount in the Youth Mission line so we know it is for your deposit! We do not want cost to stop anyone from joining us this summer. If you are interested in a scholarship, please reach out to Pastor Maddie at . Every year, our youth sell stock certificates to family, friends and our multisite church in order to build connections and advocate for themselves regarding this service trip. We are requiring all youth participants to sell 8 stock certificates for $25 each (total of $200) as part of their mission trip funds. We will set up a table during the month of April at both churches so that youth can ask church members between services. If you have any questions, please reach out to . Our annual youth mission trip fundraiser will be a Saturday, April 13 at Barrington UMC at 6:00 p.m. A spoof on the popular show America's Got Talent, members of our multisite will come together and share a meal served by our youth, celebrate the talents of our church, and raise money for youth mission. We expect all those attending the mission trips to participate in some way. This can be sharing a story from a past mission trip, serving food to our guests, or performing in the show itself! I am so eager to spend the summer serving alongside your youth as we see how God is working in new places and in our own lives. I pray that these trips can be transformative moments filled with powerful friendships and evidence of God's justice and grace for our world. I have loved getting to know your youth, and I am grateful for more laughs, stories, singing and growth this summer! Be sure to check this space and Youth BUMC (@youthbumc) Instagram for updates as we launch our multi-site youth program in the Fall! Feel free to reach out to our youth director, Pastor Maddie Johnson, , with any questions, comments or to request to join our Facebook page!